The Eagle Mfg. 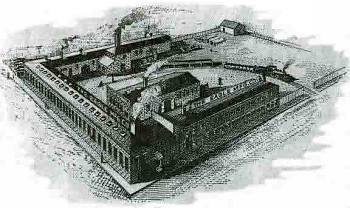 Co. started life out as the Eagle Fork Company in 1881, in Appleton, Wis, located along the Fox River. The new company was headed up by Richard Miller, John Kanouse and William Polifka. They had 6 employees, and the product line included hay tools, horse powers and saw mill frames. 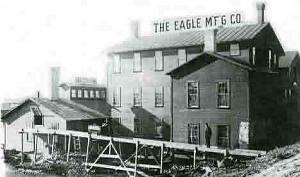 In December of 1888 the new "Eagle Manufacturing Company" was incorporated. The company was incorporated for the purpose of manufacturing, buying, selling, repairing and dealing in farm implements and hardware. At that time they had 11 employees. Over the preceding years several share buy outs had taken place, and in January, 1894, Richard Miller sold all of his shares to the Sailberlich brothers, Edward, Frank, and Oscar. They began going off in a bit different direction by manufacturing silage cutters having interchangeable cutter plates and this new venture proved to be a success. In 1899 another new direction took place and that is of entering into the new rage of experimenting with gasoline engines. Soon they outgrew the Fox River facility and in 1904 moved into a new and modern plant. Work progressed on the gasoline engines, introduced a new line of silage cutter/filler and began experimenting with a gasoline tractor. The Eagle Mfg. Co. was a diversified company, manufacturing many different products. A 1908 sales catalog told about their extensive line of equipment including: single cylinder gas engines, engine/saw combinations, silage cutter/blowers, sweep type horse-powers, power jacks, saw rigs, burr mills and grain grinders. Growing pains overtook the company, with them producing gasoline engines, and now the new line of tractors, especially from 1913 on and other new lines of equipment, the need was for more operating capital. With WW I putting a strain on the US manufacturing companies the board of directors authorized an increase in capital stock to build new facilities to take advantage of the wartime growth. With this new growth came new personel into the company. Oscar and Frank Sailberlichs sold off their holdings in 1918 and went and founded the Fox River Tractor Co. in Appleton, the tractors didn't fair to well, but the Fox forage harvesters went to a long life by producing excellent quality silage making equipment. Eagle Mfg. Co. concentrated their efforts into just building tractors during the 20's and 30's. The 2 cylinder tractor that they are famous for with the "Eagle Beat" ended production in 1930 after 17 years of production with very few major changes during these years of production. In 1930 they entered into production of a 6 cylinder tractor, using mostly out sourced components. It was a last ditch effort to keep up with the competition. But the great depression of the 30's fell hard on many small companies, and Eagle Mfg. was no exception. They were plagued by declining sales and high operating expenses, even though they built a good quality 6 cylinder, standard or row crop tractor, 1938 was the end of production for the company. In 1941 the company was sold to the Four Wheel Drive Auto Co. of Clintonville, Wisconsin, thus ending a 50 year run of operation for the Eagle Manufacturing Company. 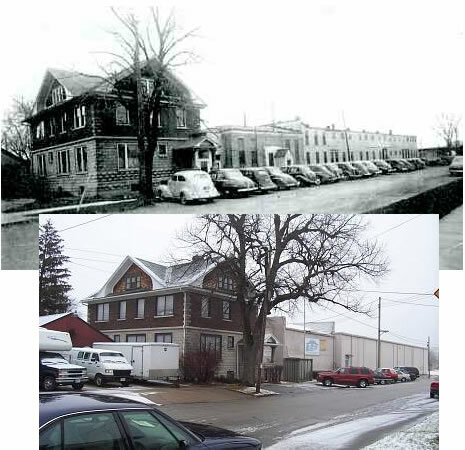 The photo below shows how part of the old Eagle plant looks today, and the house that Edward Saiberlich lived in. It really hasn't changed that much, the same tree is still there.